My husband and I are both one of three siblings, and both of us count our siblings (and now each other’s siblings and all of their spouses) among our very best friends. We always planned to have three children ourselves, but, as apparently happens in life, our family has not grown according to plan. Right now, we have one daughter, Nora, who is medically complex. Here’s the five-sentence version to catch you up. Nora was born very prematurely due to complications during my pregnancy. We’ve been told these complications are reasonably likely to recur (30%-40% chance) should I become pregnant again. Nora required several surgeries during the first year of her life (which was spent mostly in various children’s hospitals’ ICUs), and complications with her last surgery left Nora with severe brain damage, intractable epilepsy, and profound developmental delays. Nora has spent the year since that surgery on heavy-duty anti-epileptic medications, IV and tube feeds, and quarantined to our home (with the exception of frequent hospital visits and admissions), with therapists scheduled day and night. She’ll be two this summer, and the complexities of her care define and organize our family life, and will likely continue to do so for many years to come. We still want to grow our family. In fact, in some ways having more children seems more important now than we’d ever imagined it would be. But deciding how and when to do this, and clarifying our hopes and expectations, is extremely difficult. As it has in every other moment of our complex parenting journey, the advice on popular mommy websites and in parenting magazines fails to anticipate or address the circumstances before us. Forget career and financial planning, sleep management and self-care, and “the art of child spacing”—we long ago abandoned the illusion of control or optimization in any of these areas. The questions we grapple with as we consider Nora’s potential siblings are hazier and much more difficult to answer. These are some of our personal questions, listed in no particular order and without any effort to answer a single one (I couldn’t if I tried). My hope is that together, as parents of children with special needs, we can brainstorm and share personal wisdom and experience about growing (or adapting) families under these unique and unanticipatable circumstances. As always, we’re going to have to write our own manual on this one. Is it worth the risk of prematurity, another NICU stay, and possibly life-long (or life-ending) medical issues to try do this the old-fashioned way? How would we care for Nora if her sibling were hospitalized for an extended period of time like she was? How would we care for Nora’s sibling if his or her needs are as great as Nora’s are? If we use a surrogate, how much genetic testing is appropriate? Is it ethical to screen for “normal” genes to avoid any knowable diseases or challenges? If we do conduct genetic testing on an embryo, does that communicate or imply anything negative about the way we feel about Nora? We love her so much exactly as she is and wouldn’t trade her in a million years for any other child. We would never want her or anyone else to think otherwise. If we adopt, how on Earth do we decide which population of children in need of parents to draw from? On the one hand, we are now uniquely able to care for children with complex medical and developmental needs, and so many of these children languish in group homes and step-down facilities because they are simply too difficult to care for. On the other hand, our plates are already full making sure Nora gets the care and attention and resources she needs and deserves. What do we do? We want to make sure Nora is taken care of at the very highest standard for her entire life, but we certainly don’t want to raise a sibling who feels duty-bound to assume that extremely demanding obligation once we’re gone. How do we handle this? Of course, there are many more questions, but these are among the hardest of them. The conversation is started now, and I hope it continues so that we can help each other through this difficult journey. Please add your own questions and comment freely (but kindly) below. 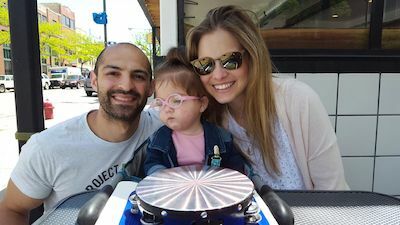 Lauren Schrero is the proud mother of Nora Levy, a 20-month-old bravely battling two rare diseases – Short Bowel Syndrome (missing half of her small and large intestine) and a rare form of intractable childhood epilepsy called West Syndrome. Nora is the inspiration behind The Nora Project, an elementary education curriculum about friendship, understanding and inclusion. Lauren is an avid reader and researcher and huge fan of Complex Child. She is honored to contribute to the special needs/medically complex community.